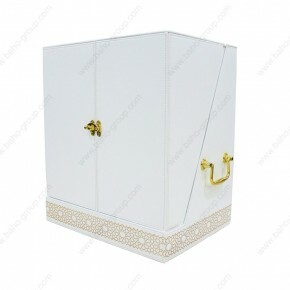 High End box for Crystal Trophy for VVIP people. 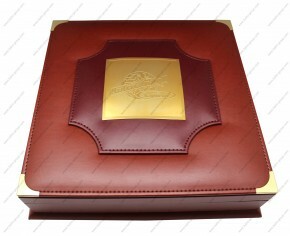 Brown PU Leather with Gold Metal on top of the cover and velvet beige inside. 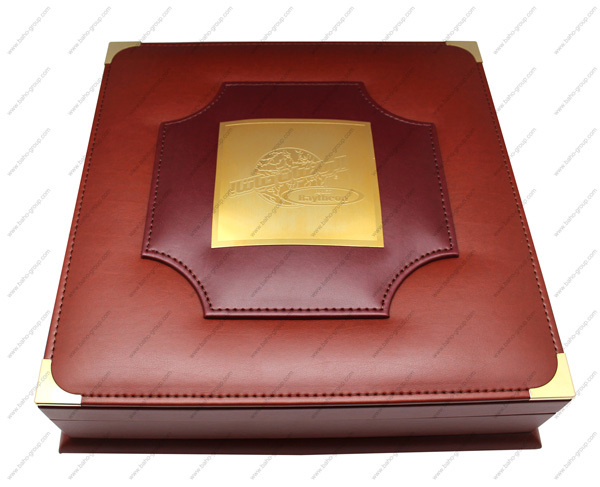 PU Leather, Wood texture on every sides. 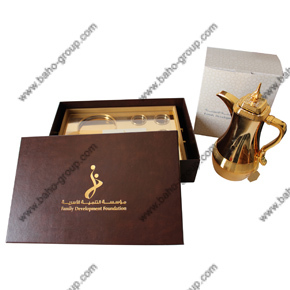 metal logo on top cover, gold metal handle. 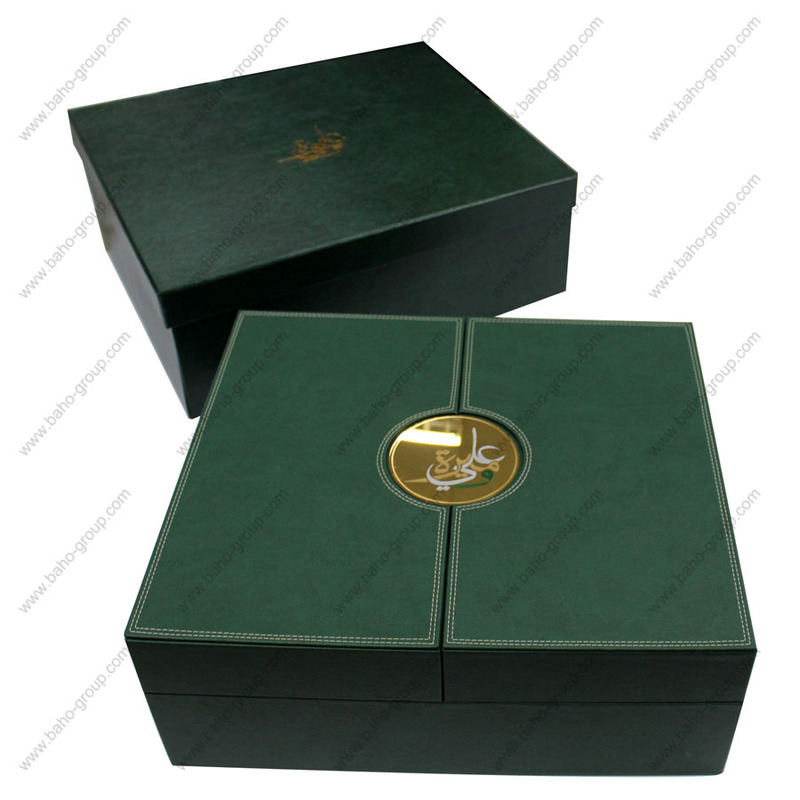 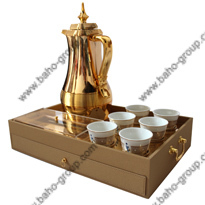 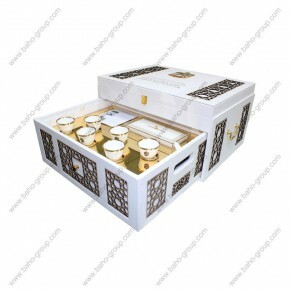 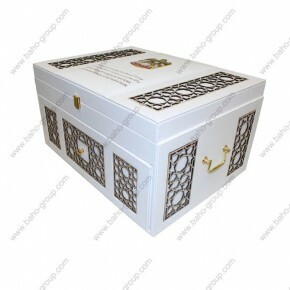 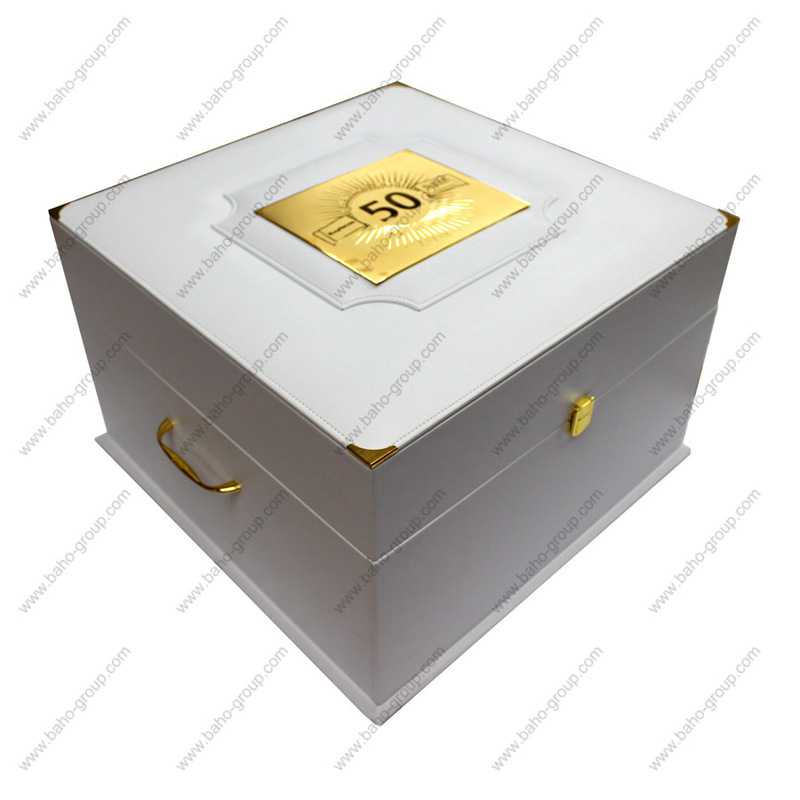 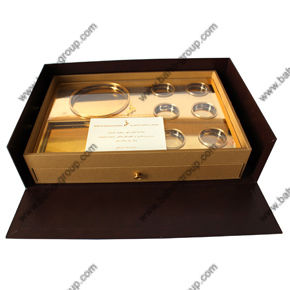 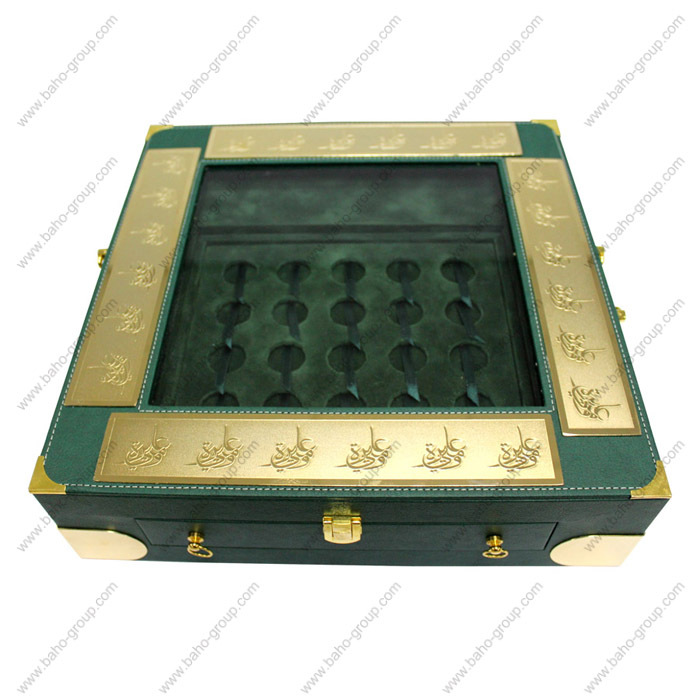 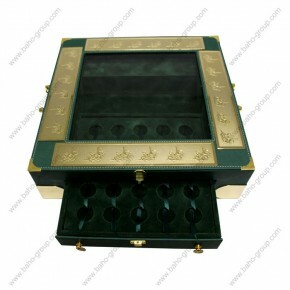 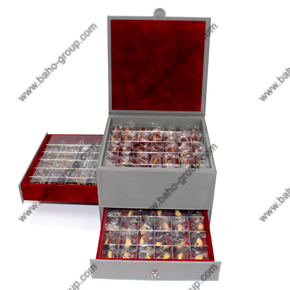 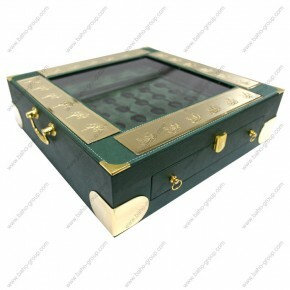 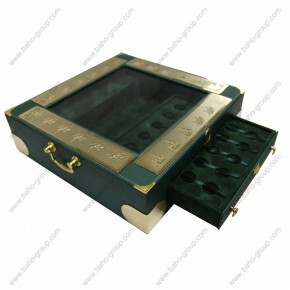 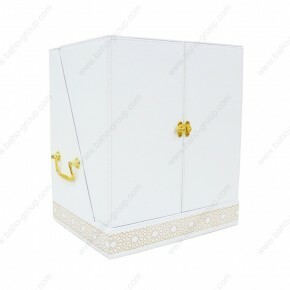 Yellow gold plated metal and Gem stones in a customized wooden box with an Islamic design. 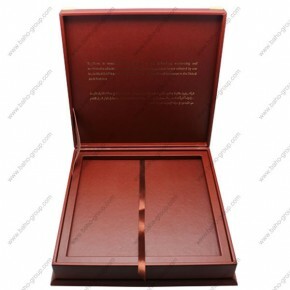 This award can be made in any size and design. 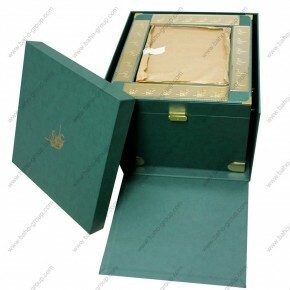 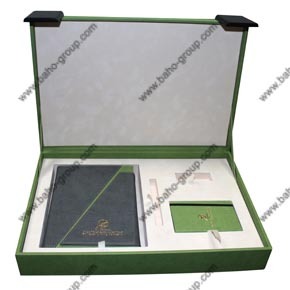 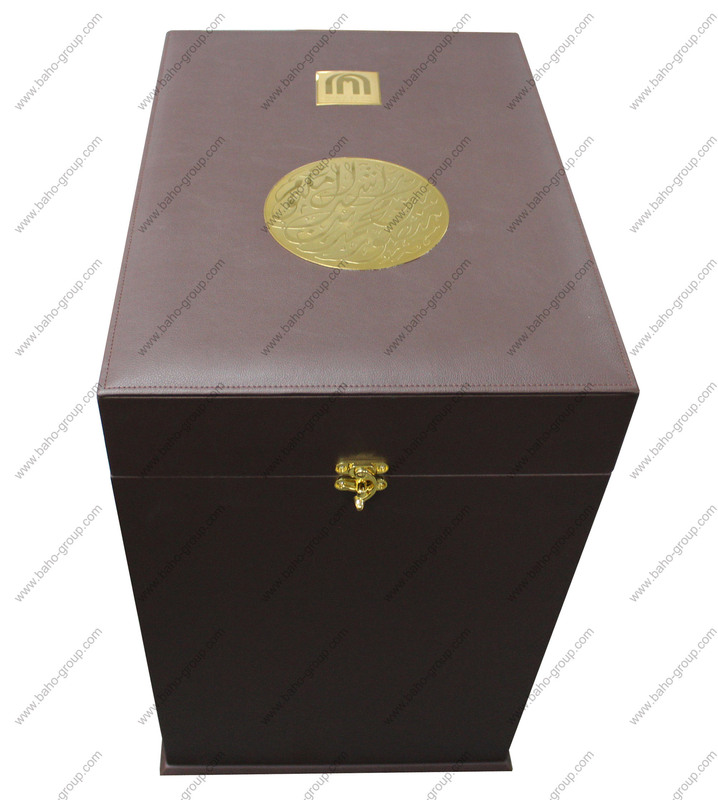 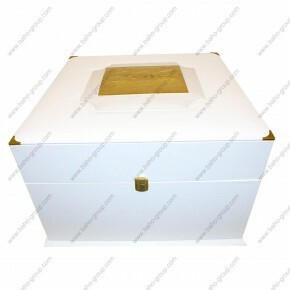 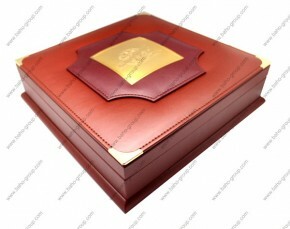 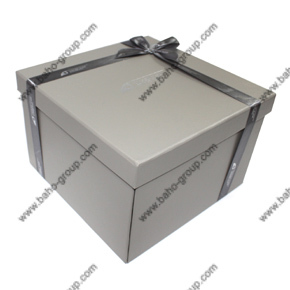 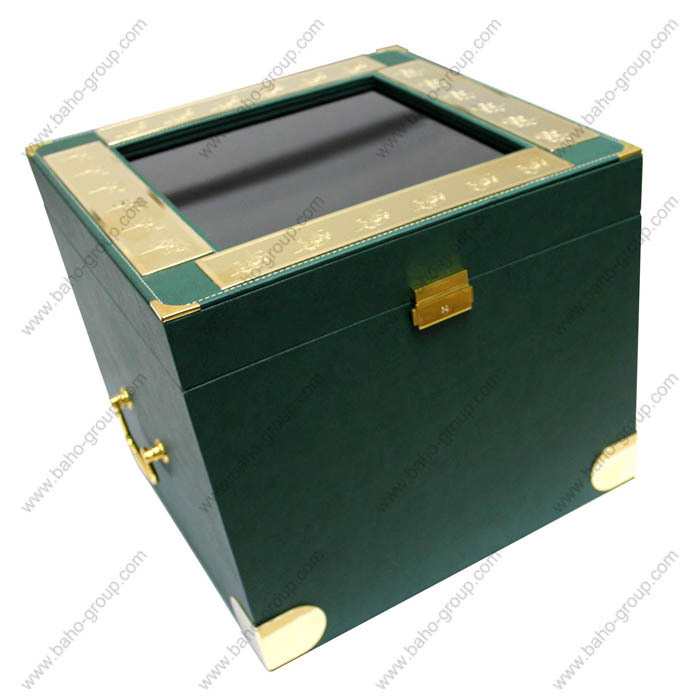 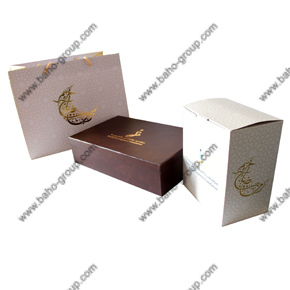 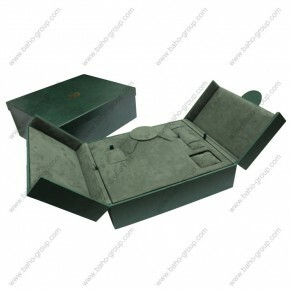 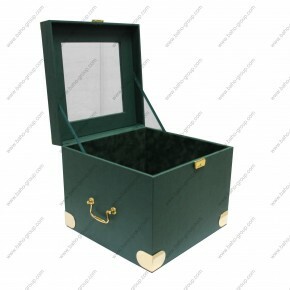 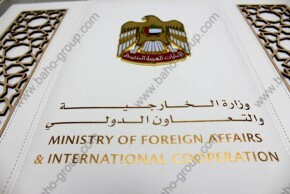 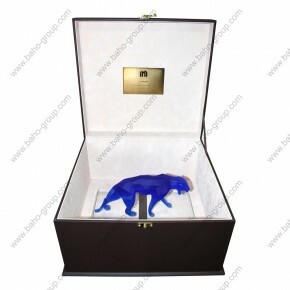 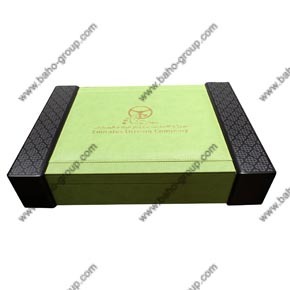 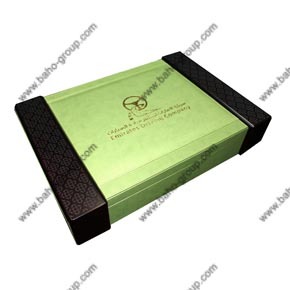 PU Leather Brown Box with Acrylic colored photo printing. with round die cut for coins.